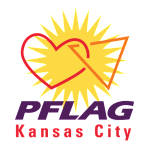 October 8th PFLAG KC Meeting. Our meeting features Debi Jackson. Debi is a PFLAG KC past president. Debi lives with her husband and two children in Kansas City, Missouri. She has become an advocate for transgender rights and acceptance because of her daughter. She now speaks openly about her family to provide others with a personal connection to learn about transgender youth, using her story to prove that conservative Southern families can be supportive of LGBT issues. Debi was awarded the 2016 NEA GLBT Caucus Role Model Award for her contributions to education about the LGBTQ+ community and now works at the National Center for Transgender Equality as a Family Organizer. Her daughter, Avery, has also told her own story in a children’s book and was featured on a cover of the “Gender Revolution” issue of National Geographic magazine. You will be inspired by Debi’s story! See you Sunday at 3!